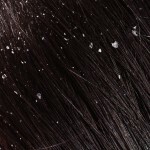 Can dandruff be mistaken for lice? 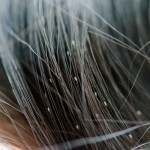 Lice and nits are very commonly confused with dandruff. Meanwhile, there is a very big difference. Lice is a short-term infestation while dandruff is a skin condition. 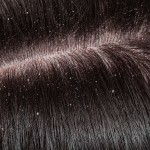 Dandruff is a skin condition that makes skin shed to quickly. This causes those with dandruff to have a dry and itchy scalp. When you have dandruff, white flakes come off of the head when scratched. Lice, on the other hand, are little insects that crawl on to your hair. They get transferred from head to head. Lice feed on human blood and can also cause itchiness. 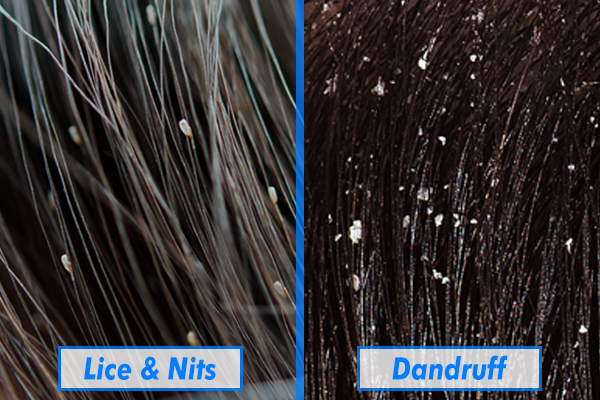 Below are five ways that you could spot the difference between lice/nits and dandruff. Lice eggs are clearly attached to one side of the hair shaft. DEC plugs and hair casts surround the hair shaft. Lice lay eggs called nits. Nits stick to the hair while dandruff is flaky. If you scratch your hair, dandruff will come flying out while nits will stay in their place. Also, dandruff is visible on the scalp while nits are on the hair. Nits can vary in color from yellow to beige and even to dark brown. A good way to confirm a nit is to pull it out of the hair and place against a white piece of paper. Dandruff and lice both cause intense itching. But there are still several differences. Dandruff itches more when the scalp is dry. Those with lice may feel a crawling sensation on their heads. 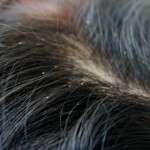 Dandruff is not in any way contagious. But, lice can be easily spread from head to head. Comparing the symptoms of lice and dandruff can be useful in case you ever suspect that you have lice. To a novice eye, one can easily confuse lice nits (eggs) with dandruff, sebum secretions and hair casts. A good way to differentiate between an nit and normal hair findings is to see whether the particle glides or moves around easily. If the answer is yes, it is certainly not lice related. Over-the-counter (OTC) lice remedies no longer work well, because lice are resistant to these medicines. Hiring a professional lice service is not as expensive as one would think considering all. Dandruff on the other hand often responds well to OTC anti-dandruff shampoos. People can purchase these shampoos in drugstores or online. Neither having lice or dandruff is dangerous. Constant scratching can injure the scalp, however, and may lead to a scalp infection. GET RID OF HEAD LICE. CALL US! Would You Like to be Contacted by a Lice Specialist? Does Cold Weather Kill Lice? Why Use a Professional Head Lice Removal Service? Lice Free Noggins Lice Removal Now Offers Lice Removal in Staten Island. © Copyright 2019 LiceFreeNoggins.com®. All Rights Reserved.